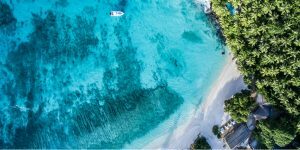 Normally we’d pick one of our chosen destinations and put together a selection of stylish places to stay, but South Africa and the South of France have so many beauties that we found it impossible to choose between them! 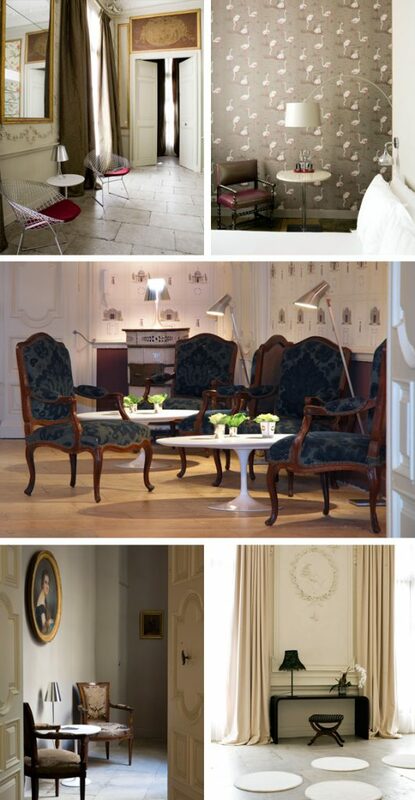 So, here’s a peek at some stunning interiors across both collections. This time round, we’ve also delved a little deeper to uncover the stories behind the looks. 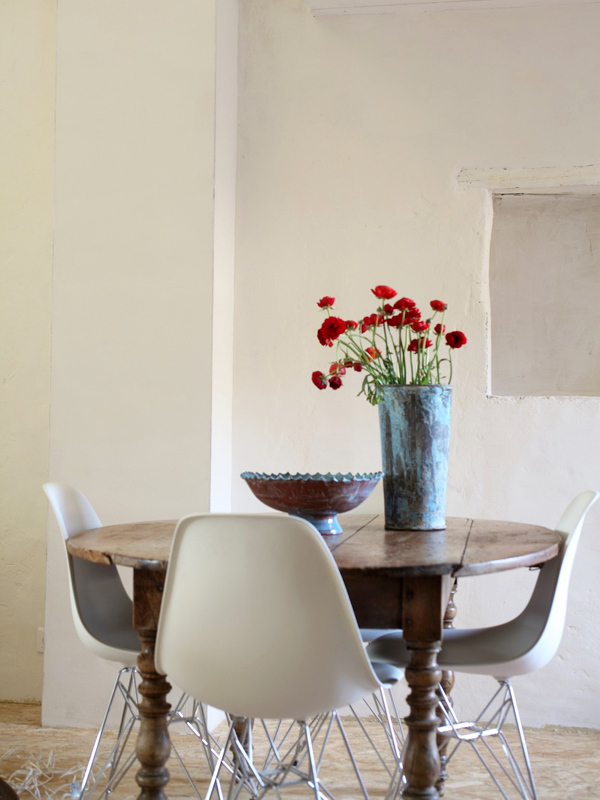 The look: A contemporary take on rustic French style, with flea-market finds and a sprinkling of designer pieces. The story: Model Anna Karin and her photographer husband Olivier swapped Paris for a new life in the tiny Provençal hamlet of Aigaliers in 2000. 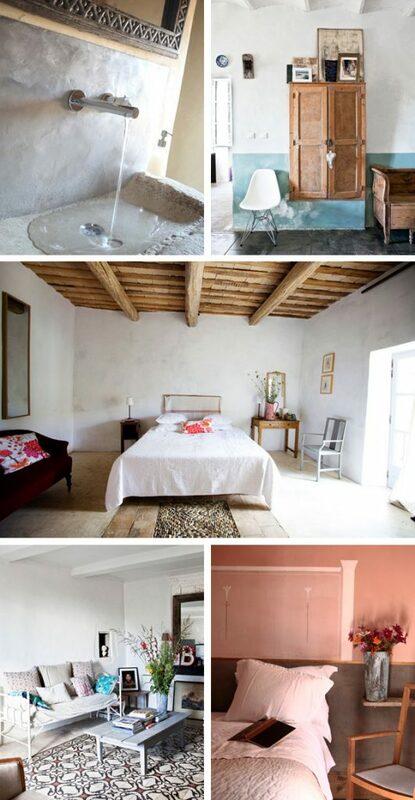 They now have 3 cats and 2 children, plus an idyllic 12th-century home that doubles as a B&B. They wanted to create an informal and welcoming vibe, so they washed the walls with soft colour and left floors and fireplaces distressed to showcase layers of history. They then trawled local brocantes for vintage furniture, pairing their finds with iconic pieces from international designers. The result is a fantastic blend of old and new, with plenty of texture: expect Eames chairs by gnarled tables, daybeds piled with relaxed linen cushions, and rough stone basins finished with the sleekest of taps. 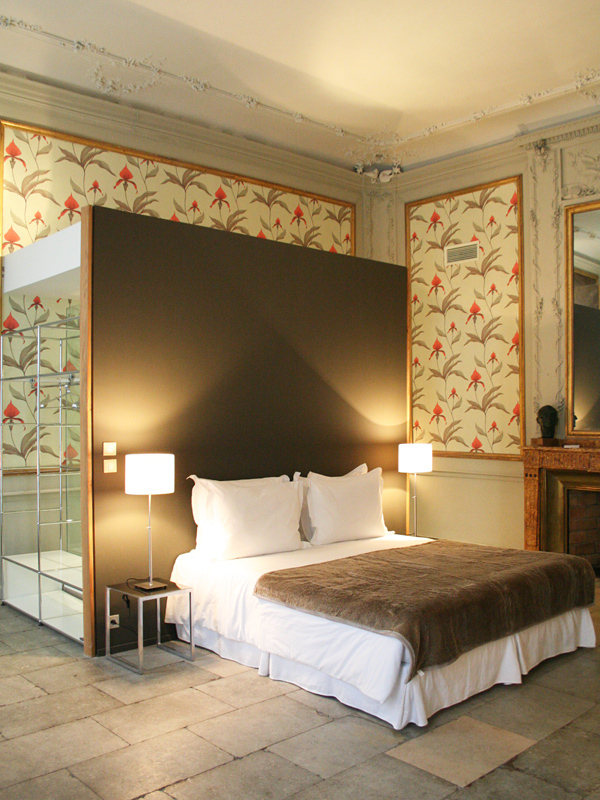 The look: Louis XV meets Philippe Starck in a sumptuous city-centre chateau. The story: Frustrated by the lack of stylish places to stay in their buzzing home city, 7th generation heir Alain de Bordas and his wife Nathalie decided to transform the first and second floors of their 18th-century hôtel particulier (private residence) into a B&B. They clearly had a ball decorating the 8 rooms, mixing 230-year-old cornicing and regency chairs with glass-walled Italian power showers and playful Cole & Son wallpapers. They also added a selection of contemporary classics, including ‘Diamond’ chairs by Harry Bertoia, ‘Tulip’ tables from Eric Saarinen, and perspex Philippe Starck lamps. The finished scheme is fun and flamboyant – just what Montpellier has been waiting for. 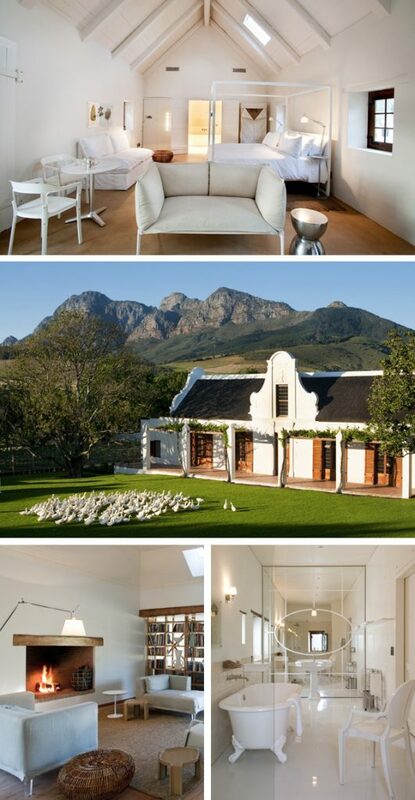 The look: A sleek white sanctuary on a working South African farm. 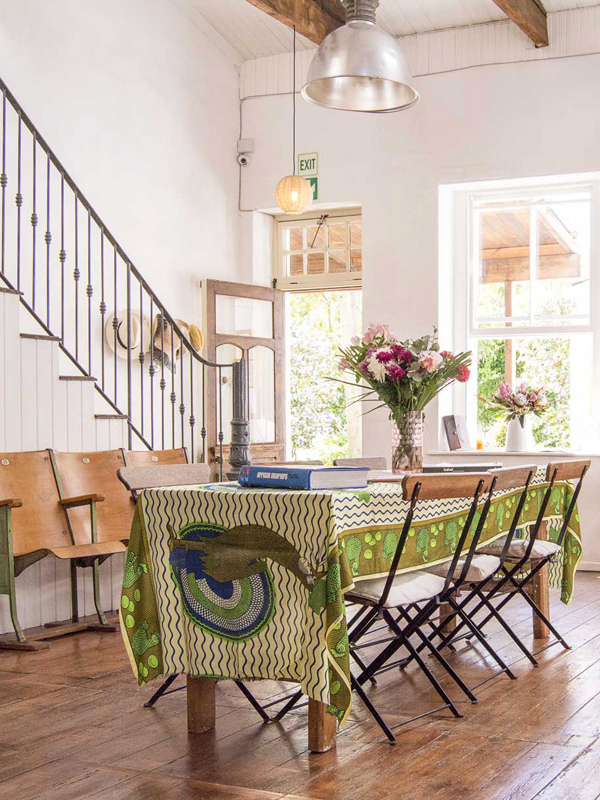 The story: Babylonstoren’s stylish interiors come as no surprise when you learn that owner Karen Roos used to be the editor of South African Elle Decoration. 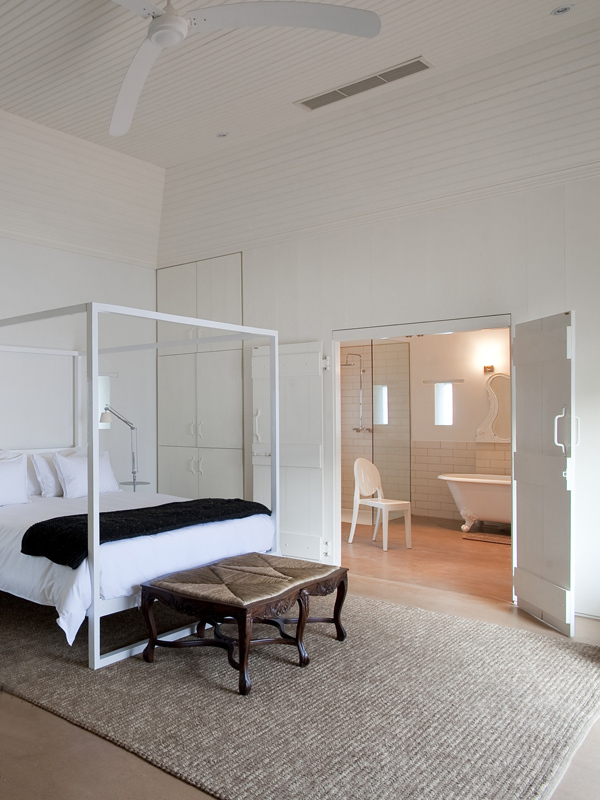 She purchased this 17th-century Cape Dutch farmstead in 2007 and spent years transforming it into a sophisticated holiday retreat, creating an imaginative restaurant in the former cowshed and building a spa pavilion from bamboo. 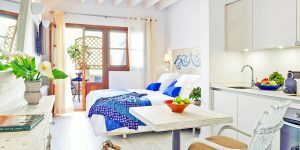 She also turned a row of workers’ cottages into swish guest suites, adding roll-top tubs and contemporary pieces by the likes of Kartell and Philippe Starck. Almost everything is swathed in soothing white, creating a striking contrast with the colourful kitchen gardens outside. The look: A Franco-African fusion in the heart of the city – the perfect way to round off a showcase of South African and Gallic style! The story: Having met and fallen in love in – and with – Cape Town, Parisian couple Mélodie and Maxime decided to make their home in the city. They transformed an old stable building into their dream home and guesthouse, retaining all the charm of the original architecture while adding plenty of artistic flair. 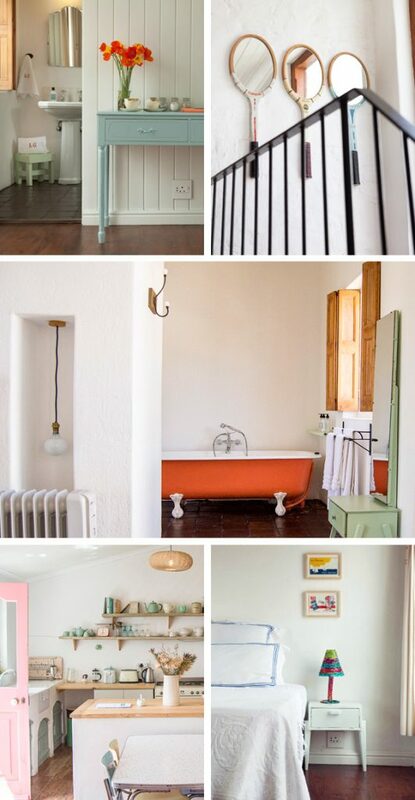 White walls are offset by bright pops of colour (an orange bathtub in one room, a pink door in another), and vibrant African prints adorn cushions and chairs. Metal and glass verrière walls reminiscent of Parisian apartments separate beds from bathrooms, and the linens were hand-embroidered at Mélodie’s family atelier in Mauritius. There are quirky touches, too, including mirrors made from old tennis rackets and keys used as light pulleys.